The Gambia is the smallest country in Africa and is a country completely surrounded by another country with the exception of a small length of coastline on the Atlantic Ocean. The Gambia, surrounded by Senegal, is a country of a rich history in her own right. In fact, you will be staying on a island that was one of the most important slave trading routes during a tragic time in history. The Gambia is known as one of the most culturally rich countries on the African continent, with many tribal and ethnic groups living peacefully side-by-side. The Gambia has enjoyed long periods of stability, unlike many of her African neighbors. Stability, however, has not translated into prosperity. Despite the presence of the Gambia River, which runs through the middle of the country and on which you will travel, only one-sixth of the land is arable and poor soil quality has led to the predominance of only one crop - peanuts. With a population of 1.8 million, the life expectancy is less than 60 years and the probability of dying before the age of 16 is greater than 25%. Malaria is the #1 cause of death for children under 5 and lower respiratory tract infections killed more than 1700 adults in 2012, the most recent year this information is available (WHO). Nearly 60% of the population lives below the poverty line and 40% lives below the food poverty line. Poverty is widespread, pervasive and predominantly rural. Approximately three quarters of the rural population (where are clinics will be held) is classified as poor. The Gambia needs your help and the Ministry of Health has asked IMR to provide care. The people of the Gambia are facing major obstacles in their pursuit of basic health care to save and or enhance their lives. Basic health care is not affordable for the vast majority of citizens in the Gambia. Although a few government-run clinics do exist, they are not adequately equipped to handle the needs of the people. The two major problems faced by Gambians are related to the shortage of health care professionals and access of medications due to availability and financial restrictions. The main causes of mortality in infants (0-12 months) are neonatal sepsis, premature deliveries, malaria, respiratory infections, diarrhoeal diseases and malnutrition. For child mortality, the main causes are: malaria, pneumonia, malnutrition, and diarrhoeal diseases. Almost 60% of the population is under age 25. The literacy rate is 55% for men - and considerably lower for women. Poverty is a national issue. In 2008 (last data available) there were only 0.11 physicians/1000 people - compare this to the United States with 2.5 physicians/1000 people and you can see a country that needs help to care for her people. You will stay in a beautiful resort for most nights on this amazing trip. There will also be an overnight on the UNESCO World Heritage designated Kunta Kinteh Island (St. James Island), made famous by the book and movie, Roots. Please join us as you discover the beauty of Gambia and the Gambian River valley! Our hosts, working hand-in-hand with the Ministry of Health, have partnered with us to create an itinerary that will allow you to see the sickest patients while sharing in the beauty of the Gambia. There is nothing better than this!! 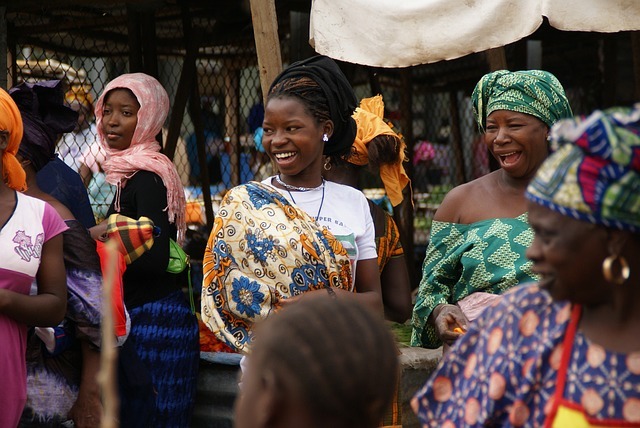 You will have the opportunity to explore the Gambia, not just from the perspective of the health of her people, but also culturally as you work with many different tribes. You will stay on an island designated as a UNESCO World Heritage Site, infamous for its history of slaving but now famous as the disembarkation point in the book and movie, "Roots", based on a true history of a family living on the island in the 1700s, and the lead character, now known around the world as "Kunta Kinte". You will travel along the Gambia River, one of the most beautiful rivers in the world, where oysters abound, giving rise to the national dish of the Gambia, oyster stew. Women harvest the oysters from the river and add many of the common Gambian flavors from peanuts, tomatoes, black eyed peas, and more. You'll enjoy the wonderful sights, sounds, smells, and tastes of the Gambia every day during your journey. You're venturing around the globe, have you considered extending your stay a few additional days to explore nearby Senegal? Join IMR on an exclusive three-day extension! Rich with colonial heritage and many natural attractions, Senegal is known for its exciting safaris, nightlife, and historical museums. While in Senegal, experience the wildly unique Lac Rose — a pink saltwater lake, the tiny, car-free island of Gorée and visit the House of Slaves museum. You can arrive anytime into Banjul International Airport (BJL) on Saturday, June 15 or early morning June 16th (per the group flight). If you are joining the team from Senegal, you will arrive by bus and ferry around 5:00pm. If you are on the group flight, your arrival time is 1:00am on June 16 and transport to the hotel will be provided. 9:00 AM: Team breakfast and orientation meeting. The meeting will conclude around noon and the rest of the day is yours. Try out the Senegambia private beach, take a walk, or find one of the fun restaurants within steps of the hotel. We'll meet back for a team dinner at 6:00pm with our hosts. June 17 - 21, 2019: CLINIC DAYS! Clinics will be held in the rural areas with the highest needs in The Gambia under the direction of the Ministry of Health. We are very excited to work with local Gambian medical personnel in this key areas of health concerns. Meals: Breakfast, Lunch, Dinner Overnight: There will be some nights at the Senegambia and some nights at small hotels much closer to our clinics. It's an adventure! Cruise the river or spend some time at the beach! This is a day to recharge and prepare for your departure the evening of June 22 or early morning June 23, depending on your flight schedule. Departures earlier in the day on June 22 are also easily arranged if this better meets your schedule. Unfortunately, eligibility for the $200 savings on this trip is no longer available after Mar 18th, 2019. Before Mar 18th, 2019: YES! IMR will arrange your international flight on a "group" ticket at your request! YES - We need your help to take IMR supply bags internationally to The Gambia! Take 2 supply bags for IMR both ways to The Gambia. IMR Group Flight: In order to qualify for the IMR Group Flight, you will need to reach 50% of the required donation on or before Mar 18th, 2019. Early Bird Special: A discount of $200 is awarded to team members who raise / pay 50% of the required donation on or before Mar 18th, 2019.